Over the years, continuous efforts have been made to combat money laundering in Macao. Aside from the main anti-money laundering framework, which consists of Law No. 2/2006 (the Anti-Money Laundering Law) and Administrative Regulation No. 7/2006 (preventive measures for the crimes of money laundering and financing of terrorism), since 2015, the DICJ has set higher standards for anti-money laundering compliance by introducing new accounting requirements to be observed by gaming promoters and new guidelines (Guidelines No. 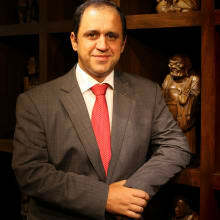 1/2016) applicable to gaming operators and promoters, and introducing a risk-based approach and enhance customer due diligence procedures, requiring, among others, the identification of patrons and reporting of suspicious and high-value gaming-related transactions – equal to or greater than 500,000 patacas. Óscar is a senior associate at Rato, Ling, Lei & Cortés in charge of the Portuguese desk, and is a member of the Macao Lawyers Association, the Portuguese Bar Association and the Hong Kong Institute of Arbitrators (HKIA). Before joining the firm, he was senior legal counsel for Melco Entertainment and other law firms in Macao. He was also a legal consultant for the Porto City Hall, for the Portuguese National Traffic and Transportation Department, and for the Honorary Consulate of the Republic of Guinea Bissau in Portugal. He is a member of the Scientific Counsel of the Rui Cunha Foundation, a lecturer and consultant at CRED-MD – Center for Reflection, Study and Dissemination of Macao Law, and a visiting lecturer at the University of Saint Joseph, Macao. 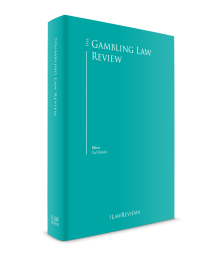 Óscar is also a frequent speaker at gaming and non-gaming conferences around the world and is the author of several legal publications on gaming and non-gaming law.